We always have the best prices on Osmosis for our customers. Now with all the Cyber pricing for the holidays, we are even better. Skin Care products are expensive so we always want to make them affordable for our customers. This is the perfect time to purchase. Always fresh products, free shipping in the US. The Osmosis page. Why pay more when you do not have to. Osmosis has so many excellent products. I have sold this product line since it first came on the market and I have heard some wonderful testimonials. Plus you may assured you are using healthy ingredients. If you are experiencing dry skin, try to use Quench and add a little Immerse. You may also spray some Clear Plus and massage it into the skin. This will have your skin looking beautiful and hydrated in no time. Go to my website http://www.karinherzog-jmilan.com Check out the gift with purchases and Log in for your Preferred Price. Perfect time to save. I feel it is so important to use Osmosis Clear Activating Mist. lt is their anti-bacterial hydrating serum. Perfect to spray on top of your products for more penetration and to use throughout the day for extra hydration. If you are acneic it is the perfect spray for you also. 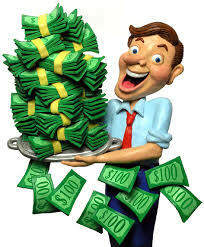 Purchase $100.00 and receive a Free Clear value $30. Use code clear after you log in. Plus see your discount when you log in. Or purchase $225 and receive a free Trial Size Stem Factor plus your discount after you log in. Stem Factor is their top selling product for reversing aging, and healing the skin. I love this product. It gives the skin such a natural luminous glow. There are 2 parts to it. 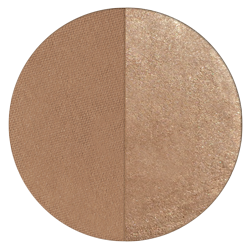 A Matte Bronzer and a Highlighter. I did a video on the Contour Duo on my website. This is a product I use daily. I am always in a hurry, but this gives my skin the look I like. Luminous and it lasts all day. I have tried foundations that give your skin a luminous look, but it is too time consuming. If you are going out special, then it can be good. The Contour Duo is easy and fast with great results. It is natural also. Healthy ingredients. Go to my website http://www.karinherzog-jmilan.com When you log in you will see your discount in the shopping cart. On January 1 2016, Osmosis is going to have a price increase. They have not had one in a while. With the prices of ingredients, packaging etc going up, they have to raise the prices. This is the perfect time to take advantage of the holiday sales and purchase your favorite Osmosis products. Perfect gifts for someone that you know that is interested in trying Osmosis. How about a Basic Kit or Anti-aging Kit. That way they can experience the products. What a perfect gift. Once you register on our site, you are included in the JoElla Milan Preferred Pricing. You will be able to take advantage of special prices for our customers only. We always have something great going on for our customers. Free shipping in the US on all orders. Log in and take advantage of our specials. 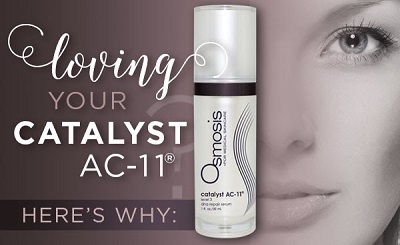 Catalyst AC11 is a unique combination of vitamin C, amino acids and minerals also encourages the skin to increase collagen and elastin production, promotes wound healing and improves sun protection. The benefits of these serums c an be seen with skin tags, broken capillaries, fine lines and wrinkles, scarring, and pigmentation. Just go to my website http://www.karinherzog-jmilan.com Log in for an immediate discount in the shopping cart. We have a special on Catalyst AC11. It will make a difference in your skin. Osmosis Stem Factor has fast become Osmosis Skin Care’s Number One Selling Product. Why? 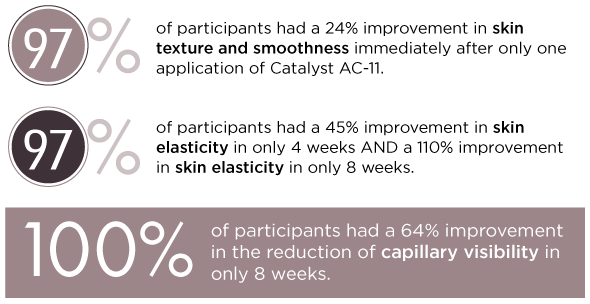 It has over 150 different skin growth factors derived from adult stem cells. This magical serum improves all aspects of skin aging and skin damage. It restores the repair process and stimulates new cells to build collagen and elastin, heal hyperpigmentation and reverse aging. Most Growth Factor products on the market and plant based. This is the real deal. You want to be sure to use it on your face, neck and decollete. Try it on the back of your hands also. Use the code save for your discount. Save an extra 5% off on your purchase of the award winners. 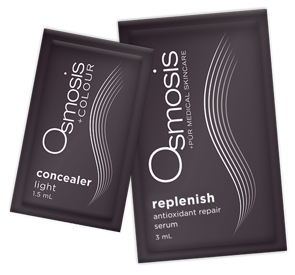 Use code save as your discount code on all your Osmosis products. Restore Restore removes toxins, improves immune function, reduces inflammation and repairs protein damage thus providing what the skin and body needs to heal itself. Elevate Elevate ATP & DNA Repair™ is a revolutionary formulation that assists in reversing the signs of aging, boosts energy, and increases fat loss. UV Neutralizer Achieve UV 30 protection before the sun even hits you with our innovative new technology that isolates the precise frequencies needed to neutralize UVA and UVB. Available in Tan Enhancing and No Tan Enhancing formulas.